‘The Funeral’, a play written and performed by Mpapa Simo Majola, will be returning to the Alexander Bar Upstairs Theatre from Thursday, September 21, to Saturday, September 24, as part of the Cape Town Fringe Festival. 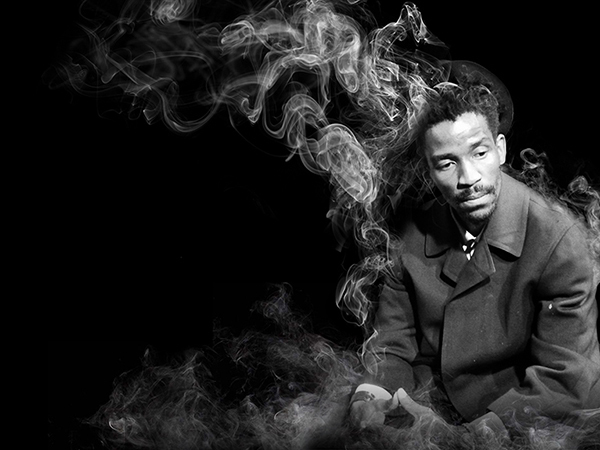 Choreographed by Billy Langa and directed by Phala O. Phala, ‘The Funeral’ is a meditation on our own fraught connection with life and death as told through physical and lyrical vignettes and disconnected monologues. Scotch finds his spirit caught up in the space of limbo, where he is yet to find the presence of God or the burning of the eternal flames of Hell. Maybe the injustice that keeps him from crossing over is that he was not buried in his favourite jacket. Or is it the notion that has always stayed in his mind: that all the existing dogmas and religions were just attempts to find a way to carry on? * For more information, visit alexanderbar.co.za. To book and for more information on the Cape Town Fringe Festival – taking over many of the city’s theatre spaces from September 21 to October 8 – visit capetownfringe.co.za. The Alexander Bar is on 76 Strand Street, Cape Town.